Twelve merchants in the Bay Area are taking part in a pilot trial of an NFC digital receipt system that works with a US$50 device and has no transaction charges. 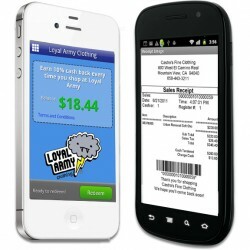 ON SCREEN: Receipts are transferred via NFC, or over the air to non-NFC phones. Click to enlarge. A dozen merchants in the San Francisco Bay Area have begun piloting an NFC digital receipt and customer loyalty solution developed by Mountain View-based startup Proximiant. 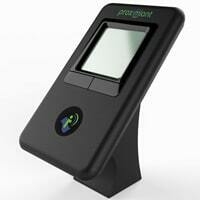 Proximiant’s service uses a USB-connected countertop transceiver that can be attached to any computerised point of sale. The device allows merchants to issue both an itemised digital receipt and personalised rewards straight to a shopper’s NFC phone or to an iPhone or Android mobile equipped with an NFC tag provided by Proximiant.